Conference Center of Las Vegas is a free-standing meetings and events venue featuring an industry first—onsite overnight accommodations in 46 guest rooms, two one-bedroom suites and one four-bedroom suite available exclusively to facility clients. With a 10,000-square-foot ballroom and five meeting rooms, Conference Center of Las Vegas can accommodate 50 to 720 attendees in theater-style seating. Onsite parking for 200, 24-hour security and a 2,500-square-foot kitchen with customized food and beverage services are available. 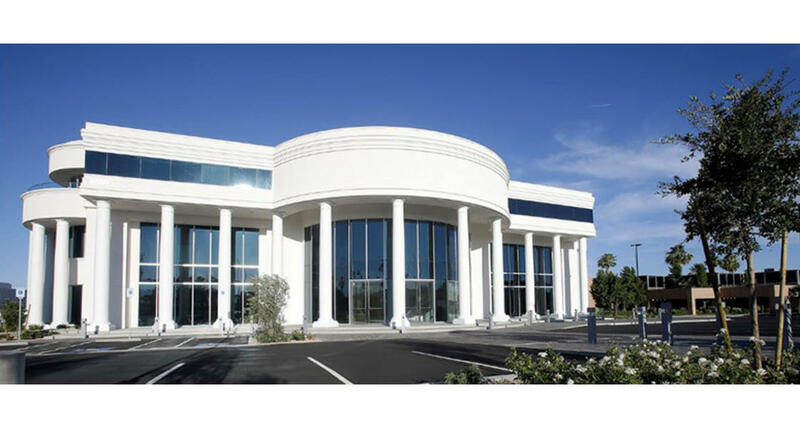 Conference Center of Las Vegas welcomes corporate meetings, association conferences, education events, training seminars or any event when an immersive, focused atmosphere is desired. In addition to its elegant ballroom, Conference Center of Las Vegas’ dazzling front foyer, with soaring 29-foot-high ceilings and dual curving staircases, make it a perfect venue for weddings, reunions, birthday and anniversary parties—or any other occasion when a stunning backdrop is in order.